Dates: March 8, 9, @ 8pm, March 10 @ 2pm, 2019. 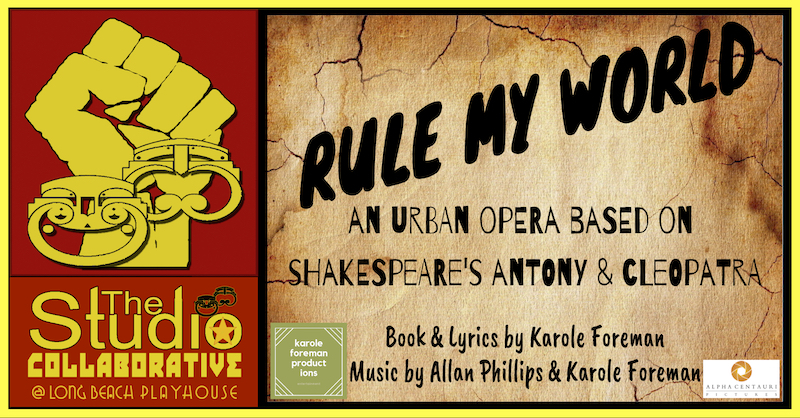 RULE MY WORLD is a modern retelling of William Shakespeare’s Antony and Cleopatra. Set in a dystopian future, it incorporates diverse musical genres such as spoken word, pop, R&B, Latin, Techno, and Hip-Hop. The show was adapted by local award-winning actor and writer, Karole Foreman and Emmy Award winning composer, Allan Phillips. Karole Foreman is interested in making art that makes a difference in people’s lives, in collaborating with other artists to create pieces that dissolve our illusion of separation from one other and, in general, using our artistic super powers for good.